Let it Ride is a form of poker where players compete against the house rather than other players. It’s ideal for new starters to the game, as there’s no bluffing and players can play at their own pace. The game is played with a single deck of cards, with each deal using a fresh deck, meaning that cards appearing in a previous game are of no value. 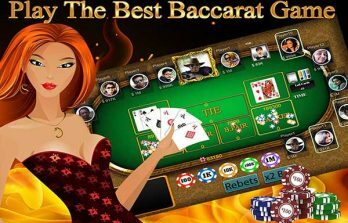 The aim of the game is to form a 5 card poker hand with a pair of tens or better. 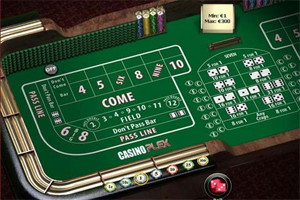 Players will firstly select a stake and place their chips on the table, indicating how much they want to bet in that particular hand. Each hand is independent; therefore stakes can vary from hand to hand. Once bets have been placed, the dealer will deal three cards to you and two cards to a common area on the table. 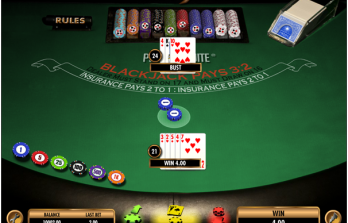 The game is different in actual and online casinos, but the three cards dealt online would be face up, whilst the other two will be dealt face down. The two face down cards are known as the Community Cards. Players must now decide whether they can achieve a 5 card poker hand with a pair of tens or better. At this point in the game, players can only see three cards; therefore the gamble is made on what the two community cards are. Players have three bets on the table and they have the opportunity to withdraw two of these during the game. If players don’t like the three cards that they have and don’t think that they can form a good enough hand, they can withdraw bet 1. If they think that they can form a winning hand, then they can let the bet stand or Let It Ride. The dealer now turns over one of the two community cards. Players now see four cards and have the opportunity to withdraw bet 2 or Let It Ride again, based on the chances of being able to make a poker hand. Once a decision has been made about bet 2, the dealer will then turn over the second community card and players can form their hand. The following list of hands are in order of importance. One Pair: Two cards of equal value. The highest pair is Aces, whilst the lowest pair is 2s. 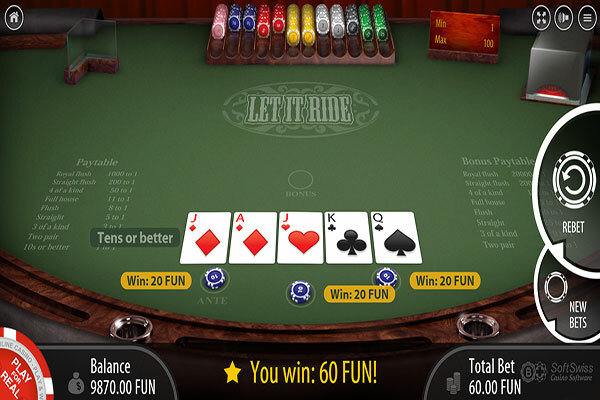 In Let It Ride, you need at least a pair of tens to win. Two Pairs: This is similar to One Pair, but you have two of them. Your Two Pairs can be any value in Let It Ride. Three of a Kind: Three cards of the same value. As with two pairs, three of a kind can be any value to win. Straight: Five cards in order that are not all the same suit. Flush: This is any five cards of the same suit. Full House: This is a pair and three of a kind together. Any value of a kind qualifies as a win in Let It Ride. Four of a Kind: Four cards of equal value. Straight Flush: This is a straight, but all of the cards are the same suit. Royal Flush: The highest hand and is the best available straight flush. In other words, Ace, King, Queen, Jack and Ten all of the same suit. New 777 Casino Customers Only!